Hair loss in women is more common than most people, even medical professionals, realize, with as many as 40% of women experiencing some visible hair loss by age 40. For women with thinning hair, though, the greatest struggles can be psychological, rather than physical, no matter the underlying cause. That’s why, while addressing the underlying causes of female hair loss, it’s critical that doctors help women manage the emotional conflicts that come with it. There are several reasons why women may experience hair loss, including genetic predisposition, poor diet, stress, and hormonal imbalances – and all of these are manageable. Furthermore, issues like stress, hormonal imbalance, and poor diet may all be interrelated; addressing one may also resolve the others. 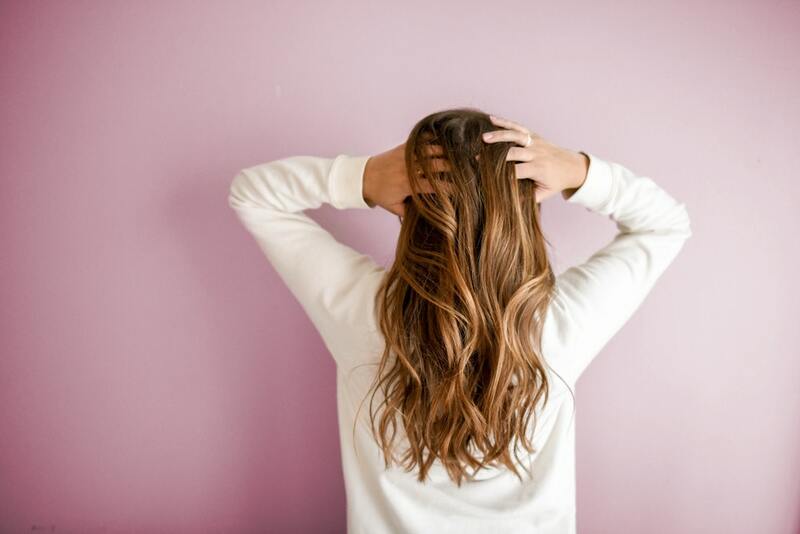 One of the most common reasons for female hair loss is a stress-related process known as telogen effluvium, which is actually not a true case of hair loss, but actually a situation in which hair stops growing. In the face of excessive stress, the body releases too much cortisone instead of producing the hormones that regulate hair growth. This can cause a woman’s hair to stop growing and not regrow when it falls out, resulting in thin or bald areas. As the body adapts and stress levels drop, hormone levels typically normalize and hair growth returns to normal. The only problem is that hair loss can increase stress rather than reducing it, creating a cycle that perpetuates hormone disruption and the subsequent hair loss. In order to help women break the hormonal cycle underlying telogen effluvium, doctors need to do several things; first, it’s important to help women identify the source of stress that triggered the initial hormonal disruption. This may be simple, or it may require undertaking psychotherapy and learning new coping skills that can help them identify and manage that distress. Practices like cognitive behavioral therapy (CBT) can help people learn to handle their stress productively and even short-circuit negative thoughts associated with their hair loss. Another major concern when helping women cope with hair loss is the association between thinning hair and loss of self-confidence, and even feeling undesirable. While men are often considered more attractive or sexually powerful when they lose their hair – though many are also uncomfortable or anxious about it – but for women, hair loss can be much more distressing. Luckily, addressing this anxiety and loss of self-confidence can be as simple as recommending that patients embrace their changing hair. Encouraging women to style their hair carefully to minimize trauma – tight hairstyles and extreme heat can both damage hair and cause it to fall out. Additionally, you may encourage women to see a hair stylist and choose a style that covers thinning areas. All of these approaches can help women reclaim their confidence, and while this may not seem like medical advice, recommending alternative styles can play a central role in your patients’ psychological well-being. Of course, many doctors will not feel they have the resources to provide this kind of advice, and that’s perfectly normal. Contacting local support groups or even hair stylists can help you point patients in the right direction. There are, of course, cases when hair loss is not temporary. Some patients who undergo chemotherapy experience follicle damage that precludes new growth, and there are cases of genetic hair loss and autoimmune disease, such as alopecia, that may leave patients without hair for the long-term. In those cases, you should consider encouraging patients to participate in support groups and even consider wearing a wig if they find their hair loss to be distressing. Many women don’t feel confident in their bodies, whether or not they have thinning hair, so helping patients recognize when their physical appearance is impeding their psychological well-being is integral to every medical professional’s job. Though low self-esteem can seem like a minor problem in the larger scheme of things, it can cause depression, anxiety, and even a retreat from social and romantic relationships. Some learn to embrace their hair loss, but others will never feel comfortable without hair. When hair loss becomes more than just an aesthetic issue and becomes a psychological concern, it’s time for you to step in as a healthcare provider. While it’s easy to dismiss hair loss as a petty concern compared to other health issues, hair loss can have a serious impact on your patients’ quality of life, and you can do more to help them live – and thrive – with it, no matter how long it lasts.